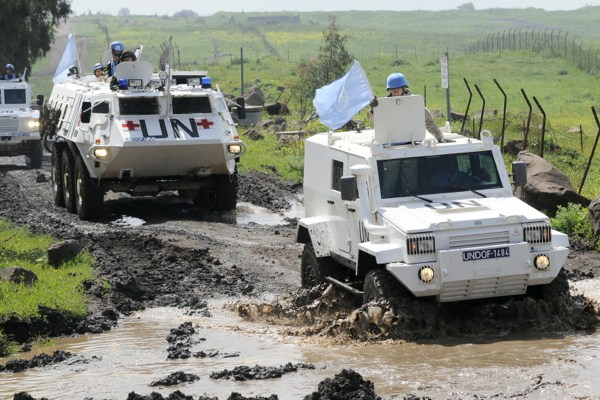 U.N. peacekeepers of the United Nations Disengagement Observer Force (UNDOF) patrol the Golan Heights, April 7, 2011 (U.N photo by Wolfgang Grebien). It is a truth universally acknowledged, at least among American political analysts, that the struggle against violent Islamist extremism is back in play as an organizing principle in international affairs. The Obama administration may have hoped to wind down the “war on terror,” but it is now engaged in open-ended if limited military operations in Syria and Iraq against the so-called Islamic State (IS). This conflict will shape Washington’s relations with regional powers including Israel, Iran and Saudi Arabia, although it is still unclear that the U.S. can balance their competing interests.